Are you a small business owner? Are you a young professional itching to make it big? No matter what kind of business you run, there might come a time where relocating is the smart thing to do. Or, maybe you haven’t started running a business yet, but plan to get a leg-up on the competition by moving to some of the best cities for entrepreneurs. Figuring out where you’d like to move is crucial. It should be a place where there’s a healthy demand for your business, but in a place where the costs of living won’t eat all your profits. It can be difficult to judge, so you should do a lot of research on your city of choice. No matter if you’re intent on finding a job in Florida or starting a business in Texas, research is key! 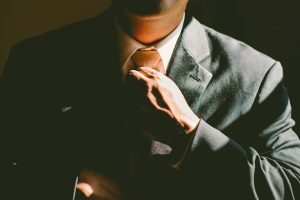 The best cities for entrepreneurs in Texas are teeming with competition – so make sure to dress sharply to leave a lasting impression! What are good cities for entrepreneurs like? In order to know when you’ve found what you’re looking for, you need to know what you’re looking for. You need to know exactly what qualities are good for entrepreneurs, so you can spot them. If you just pick a random town off a list, well… you might still have a solid time of it, but you won’t maximize your full potential. Of course, it’s important to keep in mind what you need other than good business conditions. You don’t want to move to a city you can’t handle living in, just because it might be good for your business! Your quality of life is important, too. Good cities for entrepreneurs have a high population of people with bachelor degrees. 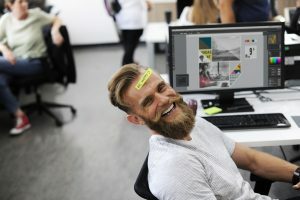 They also have a relatively high population of Millenials – Millenials are entering the workforce in large numbers, and are a driving force behind most start-ups. Plus, younger people are more open to new ideas, if only because old people already have their routines. You need to look at the employment rates, too! The best cities for startups and innovators in the US have a low joblessness rate. You need to look at the cost of living. Because the costs of moving and starting a business can be high the cost of living has to be low. Plus, you’ll have to be able to turn a profit! But that’s not all you need to focus on. Are the costs of living are low because the economy of the city is on the decline? That’s a bad sign. Does the city offer any kind of aid to small business owners? You might want to look into that. Are you planning on renting properties for your HQ? Or are you making an online business? 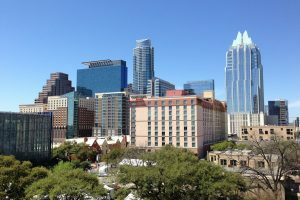 Austin is one of the best cities for entrepreneurs! The reigning champion of every single entrepreneur list in the entire country is definitely Austin, Texas. Austin is quickly turning into quite the tech hub! There are over 5500 tech startups in Austin, and even more, are coming. Not to mention the inexpensive cost of living! The price is almost two times smaller than that of San Francisco, the city touted as the best place to start a business in. So why not start it in Austin and save half your money? Plenty of well-educated young professionals call Austin their home. The city can also boast with a very vibrant and diverse fine dining and culture scene – Austin is far from boring. Of course, should you decide to move to Austin, you’ll need moving experts to back you up. Not only are you getting one of the best cities for entrepreneurs, but you’re getting quite the view! Houston, we don’t have a problem! The city of Houston, home of the astronaut training center, is always on the lookout for skilled professionals. No matter if you’re moving to Houston to join the workforce, or to start a business of your own, this city is bound to give you plenty of opportunities. Plus, Houston is the hub of the oil and gas industries, so if you intend to make a career in them, Houston is the place to be. And not to mention the city of Houston fared surprisingly well between economic crises, so it’s got a good chance of faring anything that’s coming up. Maybe you don’t want to move to Austin. Well, Dallas is also a very strong choice when it comes to small businesses! If living in the big city is for you, make sure to check out everything Dallas has to offer you. It’s practically the cultural hub of Texas, and as such has a lot of opportunities for advancement. It’s the ninth most populous city in Texas, so it’s a pretty big city. Plenty of room for many, many small businesses. You can be sure to expand even further once you get your foot in the door. San Antonio is also one of the best cities for entrepreneurs in Texas! Not to mention that San Antonio is considered one of the most fast-growing cities in the entire state. Of course, fast-growing cities are just teeming with business opportunities, as any savvy businessman should know. Plus, San Antonio is very well connected to the rest of the state and the country. Called one of the best cities for young graduates for a good reason, San Antonio is certain to help you along on your business journey. How can you start your business off right? You need the right kind of support if you want to make it big. No matter if you’re moving your office, or just your house and plan on starting when you get there, there’s no denying that moving is difficult and distracting. So, why not leave it to the professionals, so you can do your job? You should be focusing on starting your new career in one of the best cities for entrepreneurs right, not if your couch got dented in the move! So, ring up trained professionals like evolutionmoving.com and go back to planning the next big start-up.